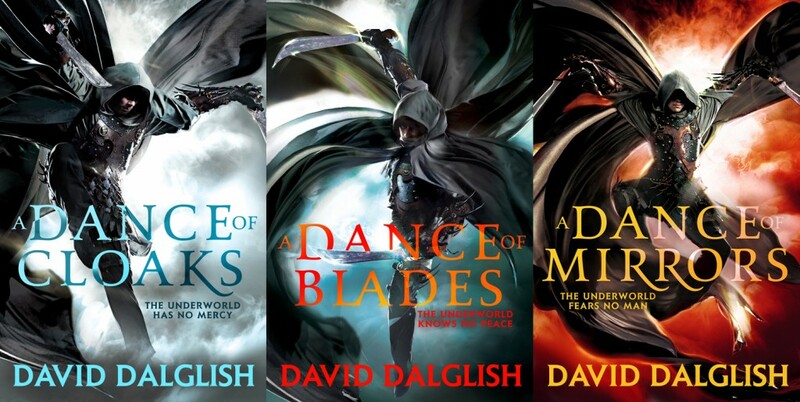 As you may have seen start to spread across the interwebs, the new Orbit covers for David Dalglish’s Shadowdance series have been released (to great early acclaim! yea!). We knew from the very start that these covers were going to be a special project, and thus, we thought, damn, this would be an awesome opportunity to do a behind-the-scenes series more in depth than anyone has ever documented before. So everyone here in the Orbit Art Department – and everyone who worked on this freelance – have kept records of all the stages and steps that it took to make these covers a reality. We’ve even got video footage! If you have ever wanted to know what went into creating a book cover, absolute start to the very final end, from acquisition on thru to final books, well, you’re in for a treat. We’ll me taking an in-depth look at the stages of the cover development. I will be your host, and I will have everyone involved in the process chime in.